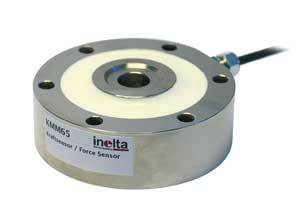 Hoffmann + Krippner partner Inelta develops, manufactures, and calibrates the industry’s most reliable force sensors. Force sensors use load cells to measure the load created by almost any object, enabling users to prevent equipment from overloading — and force sensors from Hoffmann + Krippner partner Inelta can measure loads with unparalleled accuracy, reliability, and flexibility. Inelta force sensors have been specifically developed for measuring static and dynamic forces in all industrial sectors, including mechanical engineering, automation engineering, and laboratory and medical technology. The strain gage (DMS) is protected by a steel or aluminum housing and is thus suitable for use in rough and demanding environments. Why use a Load Cell / Force Sensor from Inelta and Hoffmann + Krippner? 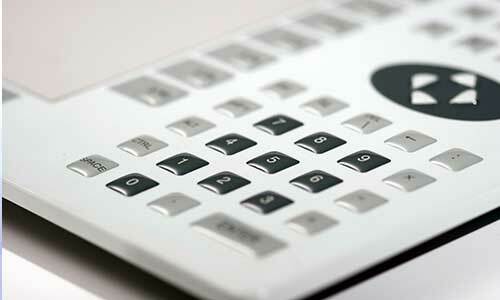 An array of high accuracy Inelta force sensors can meet almost any need. Inelta’s world-class engineering produces high-quality sensors that can return better signals with more precise and reliable measurements. The wide selection of sensors in its portfolio (detailed below) ensures you can find a force sensor that will meet your needs, budget, and specific application requirements. Further, these sensors offer unparalleled lifespan and can power opportunities for future innovations (e.g., inclusion in Internet of Things deployments). Many Inelta force sensors can also be custom adjusted, a critical consideration particularly for scenarios that have exacting specifications or unusual measurements (e.g., aerospace applications). If you’d like to speak with one of our consultants to solicit input about your project or to inquire about our force sensors, please send us a message here. Load cells are appropriate for force measurements in all industrial sectors, anywhere weight, pressure, or tension needs to be measured. In fact, they are used throughout daily life in consumer products, automotive applications, industrial settings, and business environments. 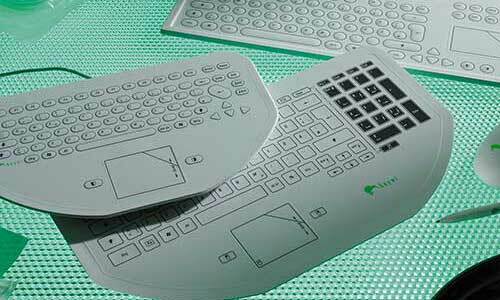 Consumer – Controllers (for up/down, force, and speed controls), pressure-sensitive input devices. Industrial – Industrial scales, assembly parts detection, product testing (e.g., testing durability), fill level monitoring, weighing materials for packaging, materials handling automation. Medical – Infusion pumps, patient sensors, dialysis balance and timing, saline or blood bag fill level, orthopedic monitoring. Robotics – Sensors for tactile feedback, load weight/pressure measurement. Automotive & Aerospace – Detecting seat occupancy, motor speed control, valve calibration, suspension system, determining propulsive force. Sports – Target force detection. These kinds of applications are just the tip of the iceberg. Force sensors are used throughout the world in a nearly endless array of scenarios. Load cells typically incorporate a spring element with an attached strain gauge. As a load is applied, deformation to the spring element generates an electrical signal that is measured by the strain gauge; the signal’s magnitude is exactly proportional to the load. When the load is removed, the spring element returns to its starting state. The strain gauge is an electrical conductor whose electric resistance changes when it is compressed or pulled. As a result, whenever an object pressed on the load cell, or pulls from it, the object’s weight can be determined. Ready to start shopping? Explore our Load Cells and Force Sensors below. These load cells measure pressure, either from one direction (e.g., pressing down from above) or from two directions pushing the sensor together. 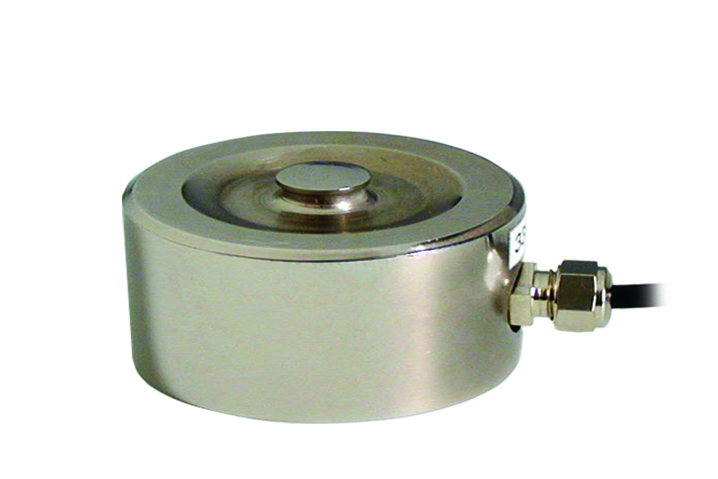 For example, a load button load cells would be used to weigh materials on an industrial scale. 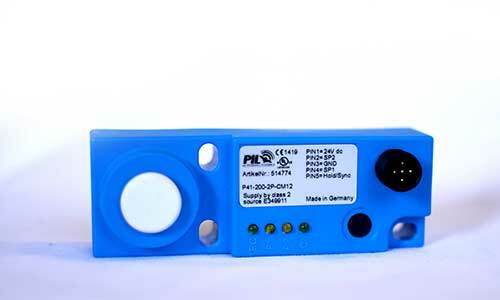 Force sensor FS55 integrates overload protection into the measurement. 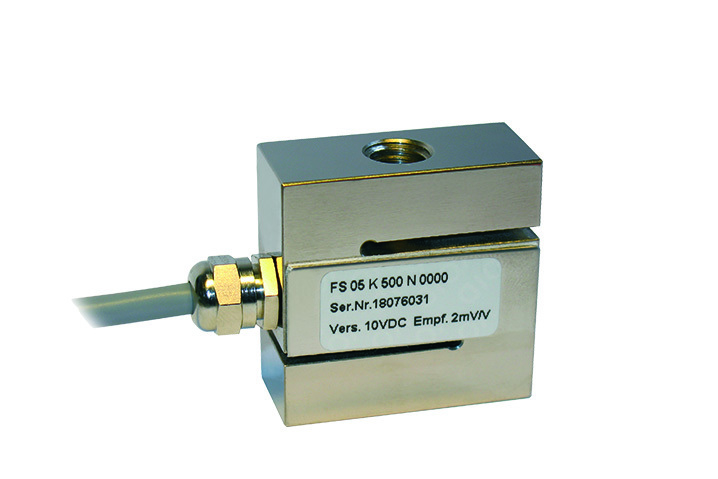 Force sensor KMM50 can measure in pressure direction up to 500 kN. 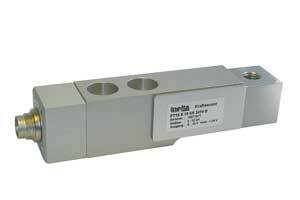 Force sensor KMM60 offers 4x90° Fastening Drilling. Force sensor KMM20 is easy to integrate with two threaded pins. Force sensor KMM30 offers two internal threads for easy attachment. Force sensor KMM62 offers a compact form factor for tight applications. Force sensor FS50 offers low linearity deviation despite high forces. Force sensor FT50 includes an internal signal conditioner. 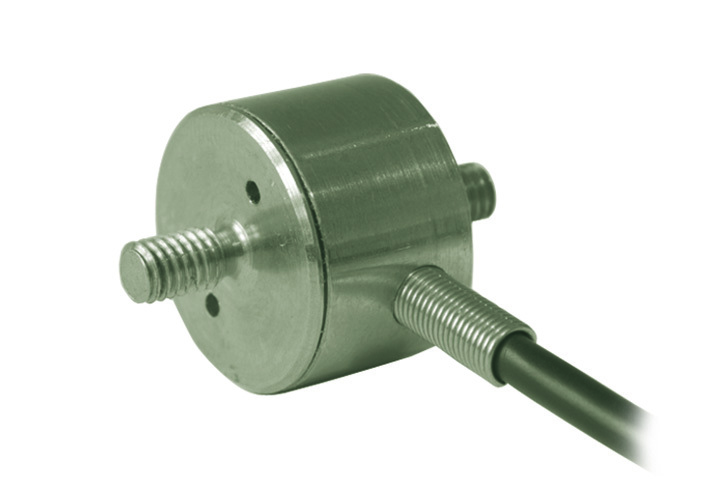 Pancake load cells also belong to the push/pull pressure group, like the force sensors described above, but they can connect at multiple locations with rods going through the center or at other points. Force Sensor KMM65 offers go-through drilling and force measurement up to 500 kN. S-Beam loads cells are appropriate for heavy-duty loads measuring, such as industrial cranes, containers, trains, etc. Force Sensor FS05 offers high overload protection with compact design. Force Sensor FS06 offers high accuracy with small linearity deviation. Force Sensor FS09 is a miniature sensor with a small measuring range from 5 N.
Force Sensor FS10 measures up to 50 kN. Bending beam load cells measure shear force up to 10 kilos. 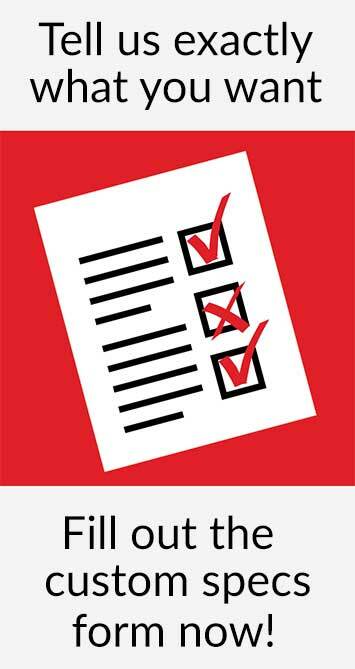 For example, it can determine if a steel beam is at risk of being bent by the load being placed upon it. Force Sensor FS12 offers a miniature design. Force Sensor FS19 is a bending beam force sensor without measuring amplifier. Force Sensor FT19 includes internal signal conditioner. To learn more or place an order for our Force/Load Sensors, please send us a message here.